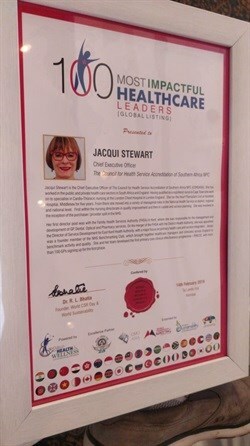 The CEO of The Council for Health Service Accreditation of Southern Africa (COHSASA), Jacqui Stewart, has been selected as one of the 100 Most Impactful Healthcare Leaders by the World Health & Wellness Congress for 2019 scheduled for 14 February in Mumbai, India. The World Health & Wellness Congress is a not-for-profit body that organises the annual meeting with the objectives of learning and development, networking and recognising leaders who have contributed value to the profession or their organisation and who, through a positive impact, have made a difference. The Congress attracts leaders from the continents of Asia, the USA, Africa and the Gulf Cooperation Council (GCC), an alliance of six countries in the Arabian Peninsula: Bahrain, Kuwait, Oman, Qatar, Saudi Arabia and the United Arab Emirates. “The award reflects your professional achievement and our belief that you are a thought leader in healthcare industry and a valuable contributor. The Health and Wellness Conference takes place on 14 and 15 February 2019 at The Taj Lands End, Mumbai, an iconic venue overlooking the Arabian Sea. Unable to accept the award in person in Mumbai since the dates clashed with COHSASA’s Annual General Meeting and Board Meeting, Ms Stewart has asked that Mumbai resident, Mr Anisur Rehman, Jagrala accept on her behalf. Jacqui Stewart is the Chief Executive Officer of The Council for Health Service Accreditation of Southern Africa NPC (COHSASA). She has worked in the public and private health care sectors in South Africa and England. Having qualified as a registered nurse in Cape Town she went on to specialise in Cardio-Thoracic nursing at the London Chest Hospital in London England. She ran the Heart Transplant Unit at Harefield Hospital, Middlesex for five years. 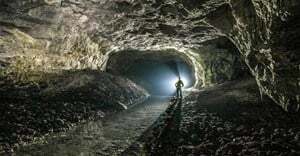 From there she moved into a variety of managerial roles in the National Health Service at district, regional and national level. First within the nursing directorate in quality improvement and then in capital and service planning. She was involved in the inception of the purchaser / provider split in the NHS. Her first director post was with the Family Health Services Authority (FHSA) in Kent, where she was responsible for the management and development of GP, Dental, Optical and Pharmacy services. On the merger of the FHSA with the District Health Authority, she was appointed the Director of Service Development for East Kent Health Authority, with a major focus on primary health care and service integration. Jacqui was a founder member of the NHS Benchmarking Club, which brought together healthcare managers and clinicians across England to benchmark activity and quality. She and her team developed the first primary care clinical effectiveness programme – PRICCE, with more than 100 GPs signing up for the first phase. 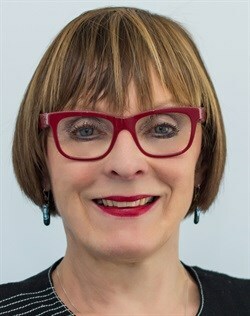 She was then appointed as the national Director of Career Development and Succession Planning at the NHS Modernisation Agency, Leadership Centre, which included developing a new system for CEO and senior management appointments as well as the lead for the further development of the Leadership Qualities Framework, which included a 360° assessment instrument. The Modernisation Agency was disbanded with the Leadership Centre merging with the NHS University. Jacqui was seconded as the Interim Director of the Leadership, Management and Improvement School. She successfully managed the closure of the school with the reallocation of all programmes and staff to other parts of the NHS. In 2005 Jacqui fulfilled a long time wish to return to South Africa and joined COHSASA as Chief Operations Manager. She was appointed Interim CEO in January 2015 and to the substantive post in April 2016. In 2018 she led COHSASA to its fifth successive ISQua accreditation. She is passionate about building capacity in healthcare professionals to improve the quality and safety for the most in need in low and middle-income countries – particularly in Africa. She is a member of the South African Lancet Commission on High Quality Health Systems. She serves on the Accreditation Council and Board of ISQua and is an ISQua Expert. She has a Masters of Professional Studies, Health from Middlesex University, London. The Council for Health Service Accreditation of Southern Africa (COHSASA), a not-for-profit organisation in Cape Town, South Africa, assists a wide range of healthcare facilities to meet and maintain quality standards.